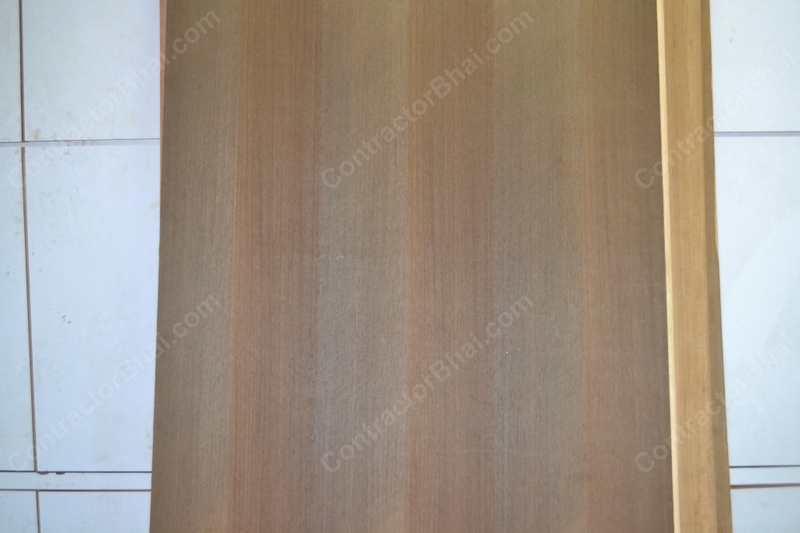 I received a call from a friend who was panicked to know that natural decorative Veneer sheets had arrived his apartment which was still under renovation work. I am sure he would be worried because no one, especially natural material lovers would want it to be damaged. Veneers are like gem to nature lovers. Also few wouldn’t want to spend again for others mistake. Forget the money part but it moreover it is difficult to get same design veneer sheet available. So either home owner will have to search for same design/pattern or look for other alternative. Well it’s absolutely okay to receive material beforehand. It happens many a times. Onsite there are workers who will keep it safely onsite. 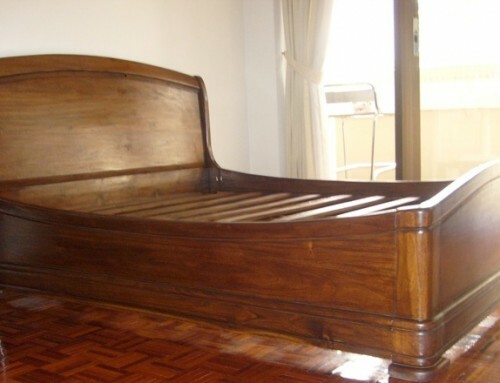 And when you have carpenters on site, not to worry at all as they will place it with care. These days’ carpenters spray a chemical called is applied using spraying gun. 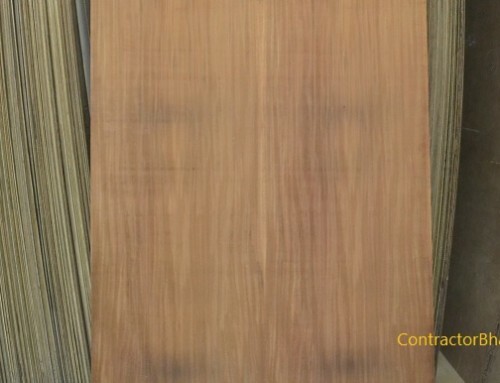 This is done to protect dust accumulation on veneer which also saves the grain feel and design. 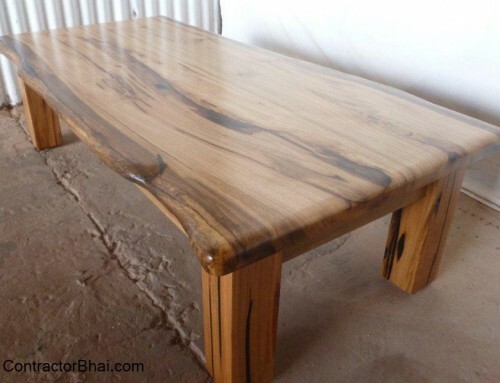 This is done to guard the charm and richness of decorative veneer wood. The chemical is sprayed especially on sites where some dust is bound to happened which will settle on veneer then. Usually veneers can be cleaned with a dry cloth to wipe of the dust. But sometimes it really gets difficult to clean the dust of veneer. 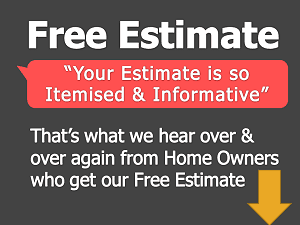 To clean harsh accumulated dust, these days carpenters spray a chemical called Sealer. Sealer acts as a thinner which is like a polish. Sealer is applied on veneer using spraying machine. Once the sealer is sprayed on veneer sheets or any other wood, there are less chances of dust accumulation on that surface then. This sealer polish can easily be rubbed of the surface, so home owners need not worry for its layer to be seen. While the veneer sheets are rubbed off to clean the dust particle, the sealer polish too will come out. Another way that carpenters or dealer protect veneer sheets from dust accumulation is the way they place it. This is the best and safest way to save veneer sheets from dust without any chemical spraying, etc. 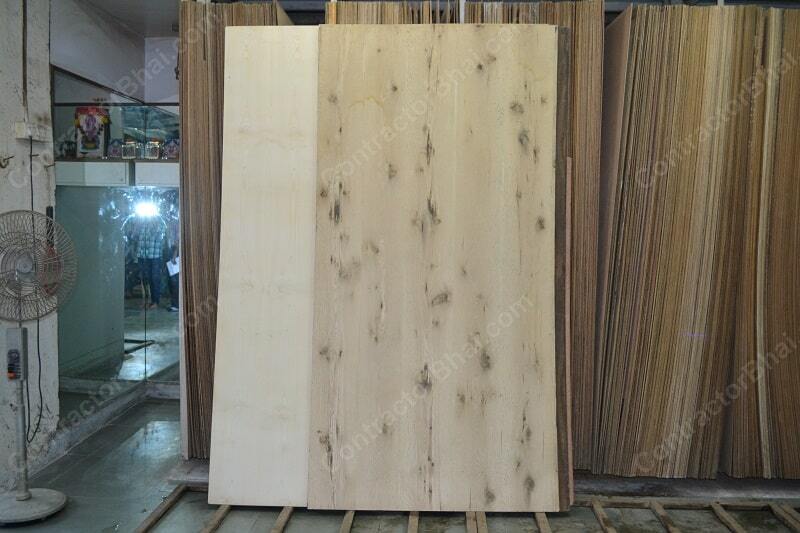 Here the dealer or carpenter will keep faces of 2 veneer sheets, facing each other. By faces in mean the top grain surface that will be seen. What happens here is that only the backs of 2 veneers will be exposed to surroundings. The back of veneer sheets can easily be cleaned for any dust accumulation. These days veneers that arrive onsite are taped on the ends. This is done to avoid veneer damage and splitting ends during transportation. These tapes are carefully pulled in direction of grain. This saves from tearing or splitting of veneer. 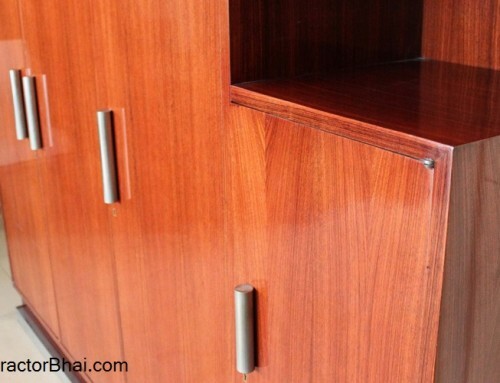 Many dealers and manufacturers suggest to leave the tape on veneer until it really needs to be used. Straight Grain or Flat cut – Especially on arrival onsite, flat cut or straight grain veneer sheets are sandwiched between two MDF or Plywood which are placed inclined against the wall. To avoid the bottom from any damages, a block of wood is placed underneath. Non flat Veneer – For veneers with patterns on its surface, the carpenter or dealer may spray a veneer softener that relaxes the wood cells and are not damaged mainly by dust accumulation. Burl and Crotch Veneer sheets – These Veneer types are wrapped because of its irregular cell structure that expand and contract with changes in humidity. 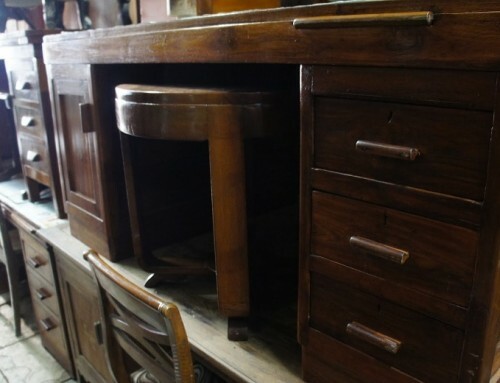 Dealers store or pile such veneer types in plastic tightly wrapped around or a trash bag. This way of packing prevents veneer from changes in surrounding humidity and therefore its moisture content. 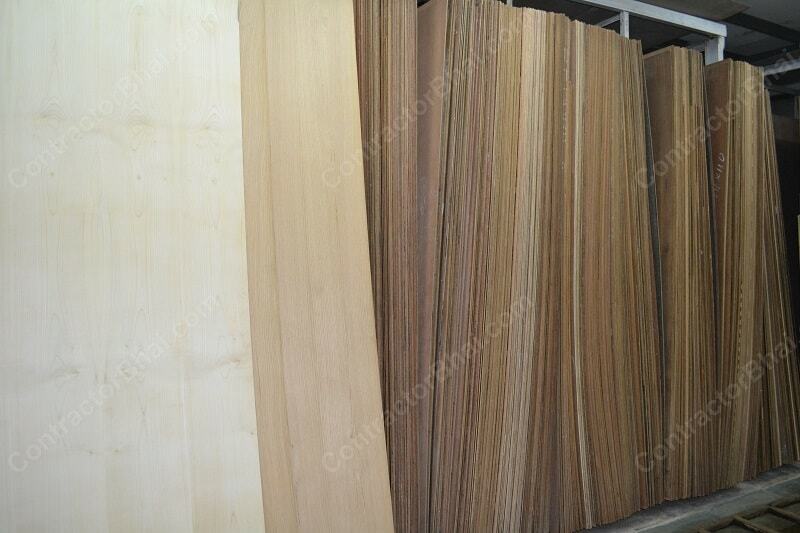 Rolled Veneers – Few veneers that are long are shipped in rolls. Dealers or carpenter (if arrived on site), unroll the veneer carefully and lay it flat on surface. They then place a MDF or plywood on top of it to flatten it and prevent moisture changes and color fading due to exposure to sunlight. Veneers in Damp Environment – Veneers if stored in moist environment, it can form patches of fungus or mold. To prevent this, a dehumidifier is used in places where veneers are stored. This is done particularly at dealer’s warehouse. And if at all a patch if formed, veneers are immediately sprayed or rubbed with a smooth oxalic acid coat. Oxalic acid is a wood bleach that is easily available in local hardware shops. Too much use of oxalic acid can lighten up darker veneers and so it needs to be used very carefully. One truly need not really worry as finished Veneers that arrive on site are much stronger. Veneers is stored and used with care, is a long lasting product.